Hello!! 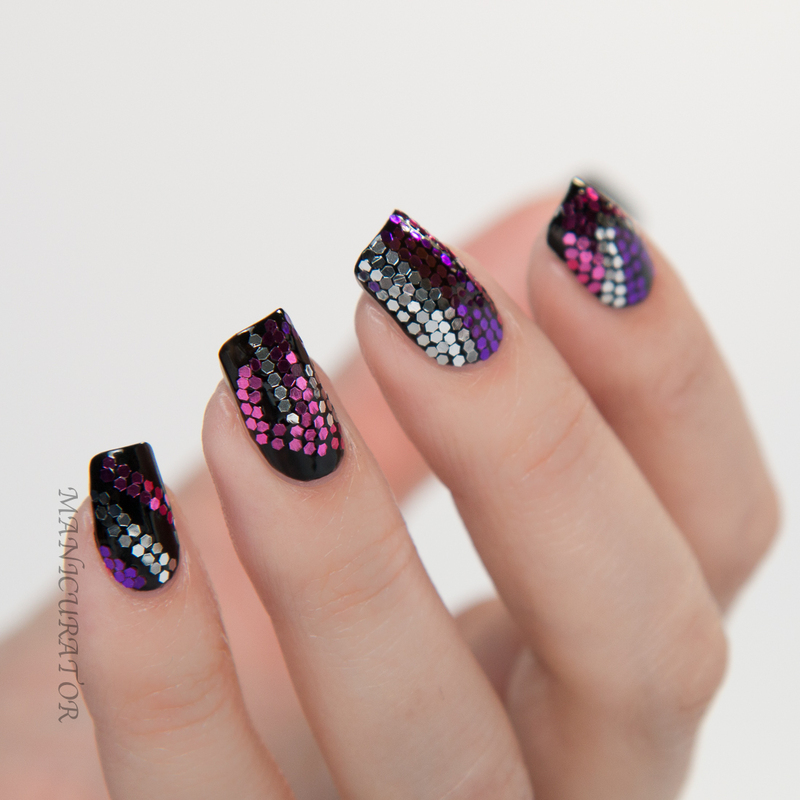 Moving right along, it's Day 4 - "Fashion Trend" for NAIL ART FASHION WEEK. And I'm reminded of my love/hate relationship with challenges. Haha!! Love that it pushes me to do great work, but hate taking each one off, and creating and posting another the very next day. Not an easy thing! So, before I continue with the trend and designer I chose today, I've wanted to give a shout out to my extremely talented friend, Didoline and her jaw dropping good "Fashion Friday" posts. I''m so inspired by the work she does! So, while searching for hot fashion trends for this post, I stumbled across Harpar's Bazaar Top Fall Fashion Trends for 2015. Perfect! I chose Studio 54 WHOO! Pile on the glitter baby! "A return to over-the-top glamour made famous by the swans of the 1970s has made its triumphant return. Sequins, glitter and lamé—plus some new takes on the evening suit—never looked so now." OK, it's confession time. My little one came home sick with fever and stomach ache yesterday. Was up in pain a lot during the night. I have fever and stomach pain today, while doing these nails. They are not my fave. Soooo, my hands were shaky from fever and I just wanted to curl u in bed. These not surprisingly didn't turn out how I pictured. Ah well, it happens. Still pretty, just not how I imagined. Hopefully we will all be feeling better tomorrow and you'll tune if for my favorite style icon! Amazing glitter placement nails these are! Hope you feel better soon. I love jowl the glitter placement is different on each nail, great work. Looks beautiful! I can't believe you had the patience for all this when you were so sick! You're a trooper and hope you are feeling better soon. Amazing!!! This is really mesmerizing. I just want to look at it all day!